As the program director for Wells of Love, the service learning component of humanitarian organization Amman Imman: Water is Life, I'd like to invite parents, teachers and students in your community to learn about our organization and get involved in our program. Amman Imman is dedicated to saving and improving lives among the poorest and most abandoned populations of the world by building permanent water sources in the Azawak of West Africa. Our program for schools, Wells of Love, empowers students as "Heroes of Compassion" - future leaders with a caring, philanthropic spirit - by engaging them to help bring water and hope to the people of the Azawak. 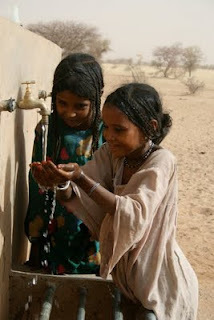 For the past three years, students in over 50 schools around the world have had the opportunity to be among the first to bring attention to this region in Niger and Mali where half a million people suffer from the effects of extreme water scarcity due to a changing climate. These students have become part of a grassroots movement to help a population of people that no one else is helping. Through Wells of Love, students become leaders in raising awareness about the water issues in this region. They participate in fund raising projects that utilize their initiative, creativity and commitment to making the world a better place. Students from pre-school to college age have been helping make a tangible difference in the lives of the children and families in the Azawak. Students raise funds in A Walk For Water and other service projects. Very importantly, Amman Imman celebrates the dignity and rich heritage of the people of the Azawak by focusing on the beauty and the generosity that shines through in spite of the peril under which they live. 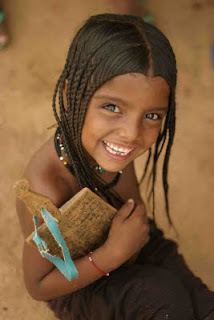 Wells of Love personally connects students with children in the Azawak, making the act of giving more meaningful. I am available to present this amazing and beautiful project at school assemblies, to individual classes or at club meetings. Please help me make connections at schools so that more students can have this opportunity. 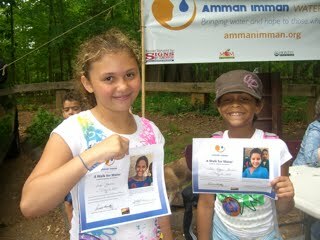 If you have someone you can refer me to, please contact me debbie at ammanimman.org or call 240-418-1143. I'd be happy to answer any questions. You can be part of empowering students and helping the people of the Azawak have a future of hope! whose courage and generosity are an inspiration to us all. Register to become a Wells of Love school! Click here to download a registration form!